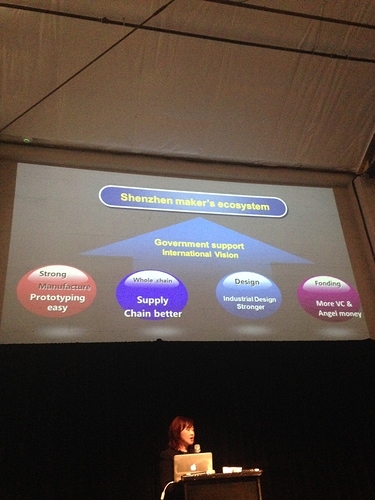 Yesterday I was at an event by the city of Shenzhen & San Francisco. 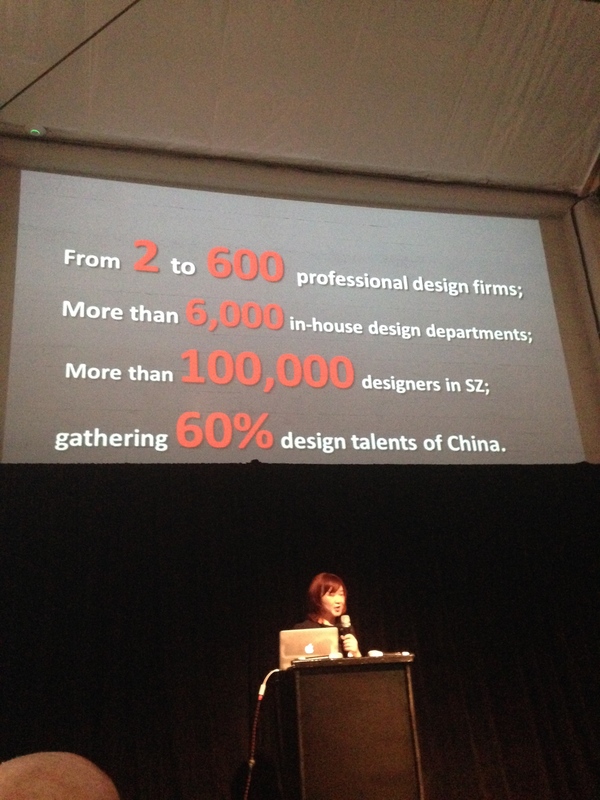 The gist - Shenzhen is exploding. So I’m interested to hear how many Tindie sellers have used a manufacturer in Shenzhen or China. How did you find them? What did you think? After the event, it was incredibly clear I need to go over there ASAP to see what is going on. Interested to hear everyone’s thoughts! A few photos apologies for the bad angle! At the moment for manufacturing I’ve gone through a couple of companies to get PCBs fabricated and the quality is no worse than UK (if anything I think its better) or slower turn around (China gets the PCBs made in half the time than UK does and with DHL they arrive the same time if not earlier). I have looked into getting stuff produced but the only one which I got in contact to do PCBA required them to source the components. I’m interested in how you do get stuff made in china, my biggest concern is fake chips depending this is one of the most important things on one of my products. Great feedback - how did you find those manufacturers you’ve used? I use a PCB board house that has a US office and US friendly website, but has the boards made and shipped to me from China. Quality is top notch excellent on the PCBs. I also purchase most of my components from China. For the components, posting buying requests on Alibaba seems to generate a good amount of interest from vendors. Of course, further investigation is needed to vet each vendor offering to sell you parts. Not sure if that is really on topic or more of a tangent though. The biggest challenge for me is sending orders worth thousands of dollars to somebody overseas and wondering if the item I’m buying will arrive or be good quality. Sending money usually involves some sort of unprotected payment like wire transfer through bank, Western Union or Paypal in some cases. They never want to use the escrow services. I’ve always received a package and have been burned sometimes with bogus parts (anyone need 100 microSD memory cards that don’t work? ), but usually the transaction goes well. It helps to have more than one vendor so that you can shop them a bit since they will typically charge a premium or raise rates on repurchases unless you have some leverage. Thanks John- great to hear. On the Escrow, are those on Alibaba or are you finding them elsewhere? I’ve only seen the escrow service as a feature of Alibaba. I’ve often wanted to use it, but the other party usually objects strongly about it. So, I cannot vouch for it at this point. I’ve just had to bite the bullet and wire the money to get what I want. Since I have some experience in using CMs (Contract Manufacturers) in China and other places, I put together a short, bullet point list of things to consider and avoid. It is Posted on Github here: https://github.com/tindie/mfg. Please ask any questions here on this forum. My biggest concern is protecting your IP, since you spend a great deal of time getting the board right and then it gets copied since you handed over the gerbers - which has happened already. As a startup or a SME is the cost saving really worth the risk of loosing the entire market share because a Shenzen CM decided you had a great idea and they have the resources to go big with your idea - any thoughts? The chance of your product getting copied is based on the perception of its popularity and the difficulty of duplicating it. Larger CMs have minimal problems with copying because they have more control over their workers who are afraid of repercussions. All of the highly popular Apple “i” products are made in China. Unfortunately many CMs doing small volume (< 10,000 ~ <50,000) production have this issue. It is rare for the owner or management of a CM to clone a product. The assembly line workers or even the janitor are usually the culprits. They simply take some PCB assemblies and design / test information to a “friend” or relative who actually does the copying and sales. The reason for this is that it takes some up-front money (capital) to make the copies and then find a way to sell them. On the smallest scale they end up on the tabletop stalls of the local electronics marketplaces. These then sell them directly or through “dealers”. If it sells well, either the cloning company or more likely the “dealer” will list them on eBay for the world to buy. That is why you can find many different sellers listing the exact same item on eBay. The “dealers” value is simply that they can create an eBay listing, usually in English. Often they have no idea what the product does or whether it even works. They just know that others have told them they are profitable. They then buy a few and take the risk of selling them for more on eBay. As big a problem as this is for people using the CMs, it is sometimes even a much larger problem for the ODMs in China. These are the companies who develop a finished product such as an infrared thermometer or a music player and manufacture them or use a CM. I have purchased many of the different IR thermometer styles and found that all of the ICs on the inside have had their part numbers sanded off. This is because the Chinese ODM is afraid of the scenario I described above from one of their own employees. They are not worried that some customer outside of China will duplicate the product, but their production supervisor’s cousin who has a CM business across town! Ways to Mitigate the Issue. Technically, the best solution is to use a programmable part (i.e. uC or Flash Memory) in your product. Then make two versions of the firmware: one for testing the hardware functions after assembly at the CM, the other which makes the product do what it is intended to do. You then have to re-program your product when you get it from the CM. This is extra work and has a cost for the design (reprogramability without dis-assembly). All anyone can steal is a product or PCB assembly that does nothing. It is much harder to protect the layout of a PCB. One effective method I have used in the past is to put in some sort of “hidden part” on a PCB which was shaped fit my enclosure. The circuit had an high bandwidth OpAmp which required a 2.5 pF feedback capacitor to operate to spec. Without the cap, it would oscillate rail to rail at about 300 MHz. I the PCB had two copper areas under the IC which made the capacitor instead of a physical capacitor. Many years later, my arch rival competitor told me he could never get the copy he made to work (he had duplicated the circuit, to fit his enclosures, but did not include the copper area under the IC). Think of something along these lines. When evaluating a CM, see how the employees are treated. Ask about the turnover and why. 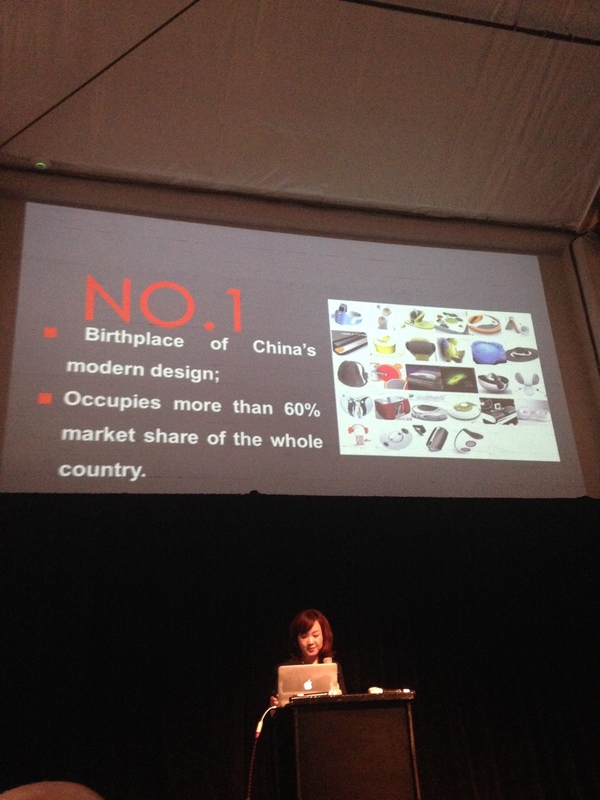 If the workers are up-tight, gloomy and afraid, that CM is most likely to have thefts of product design. If the workers are reasonably content the risk diminishes. This is pretty “fuzzy” and non-specific, but has a good correlation. Ask yourself if your product is really worth stealing. Remember, potential thieves are not “collectors”. They have to have a way to sell and deliver the stuff to customers. They have no specific way to get to your customers because they probably don’t even know “who” they are. Your product should not be a generic, widely popular item (i.e. another “enhanced” or repackaged Arduino). Business is like a Three Legged Stool. The foundation for success: 1) a product people will buy 2) a way to make it 3) a way to sell it. If one of the “legs” is missing, the business for the product will fail. You have two advantages the thieves don’t: 1) you can improve the product before they can clone it and, most importantly, 2) you know how to reach your potential customers effectively, i.e. “a way to sell it”. If you don’t already have “legs” 1 and 3, you might reconsider what you are doing. Yes, Shenzhen is a city next to Hong Kong, which has high density of development - by both large corp, Small / Medium size companies and individuals. We are close to this city and have the insight into its changes and where to do the right things. However - this city is like other Chinese cities, inflation in rents, salary are making this place not really a “Manufacturing” base. Manufacturing are outside of the city - in the Dong Guan area, despite saying this, even Dong Guan are seeing these above issues, so the manufacturing activities are migrating as well - towards western cities and even South Sea Asia. Whereas the Tindie community concern - are of smaller batch production quantity - this comes the more tricky part - production lines likes small variety, high volume consistent orders. So you have to find the right partner who has the right factory production profile mix for your designs. In the mean time - cities do want to migrate to be “Silicon Valley” of this and “Silicon Valley” of that… That’s natural. So cultural element becomes important - please see a video I took at the Science Park area of Shenzhen.